Me walking on water in Iceland. Jokulsarlon frozen over in Spring 2005 with icebergs and the calving front of Breidamerkurjokull in the background. I started this blog as an anonymous endeavour, but as I have rarely had time to post anything on it and I would like to start using it to discuss my actual research and papers in more detail, it is probably time to come out the shadows a little. 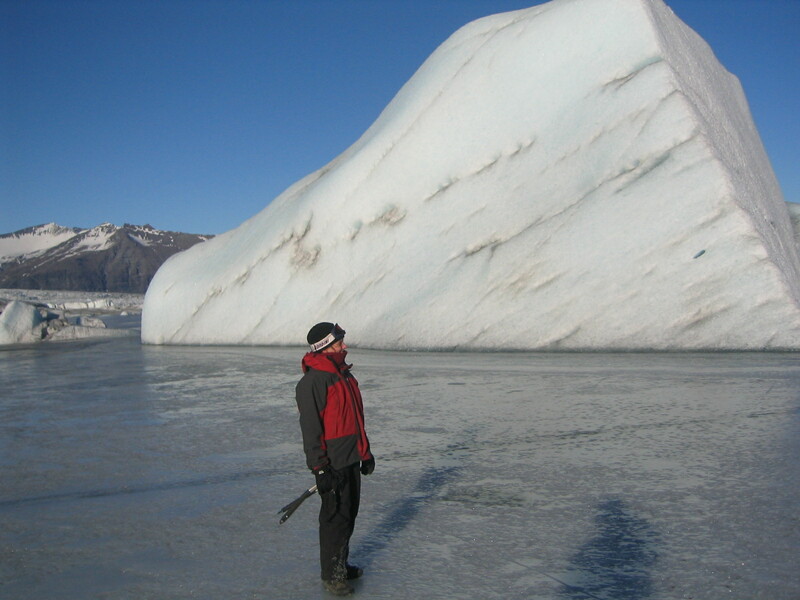 My name is Ruth Mottram, I am a climate scientist (specialism in glaciology) in Denmark. You can find out lots more about my research and publications (and where possible pdfs to download) on my academia.edu page and I also appear on Research Gate as well as the research.dmi.dk pages where I occasionally contribute news items.